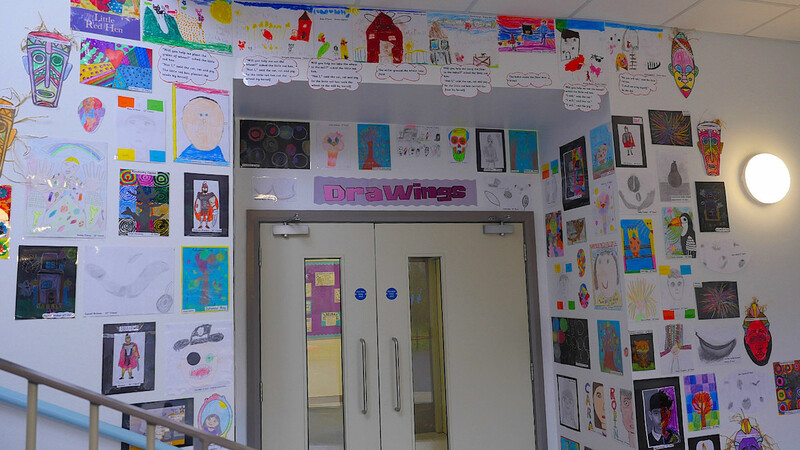 This year we have been working on creating an art gallery of work from throughout the school. The whole school is putting a special emphasis on two strands per term. The Art team has collected samples of art from each class focussing on each different strand every half term. Our very big stairway is filling up with drawings and paintings and prints. First we focussed on drawing and we had amazing portraits from every class in the school. Some did pencil drawings, other used chalk and some took inspiration from Picasso to create abstract portraits. After Halloween our strand was paint and colour. Every class painted a winter scene for our gallery. 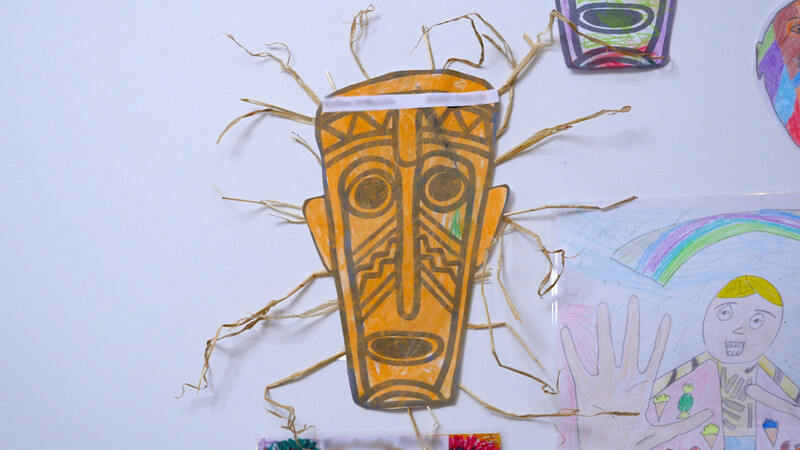 Some classes also used relief printing (with masking tape) to create trees and or used cut out silhouettes. We learned about primary colours, and warm and cool colours as well as painting examples of the colour wheel. In Term 2 our first strand is Print. We have been using lot of objects such as straws, bottle caps, lego, string and sponges to create prints on a page. We are also focussing on some specific artists in each class this year. Our whole school artist is Kandinsky and we already have some amazing Kandinsky snails inspired by Squares with Concentric Circles and abstract paintings inspired by works such as Composition VIII. Senior Infants painted Pointillism houses after learning about the artist Georges Seurat. This style of painting uses tiny dots instead of brushstrokes. Third Class created some amazing Pop Art inspired by Romero Britto using cartoonish lines and bright colours. 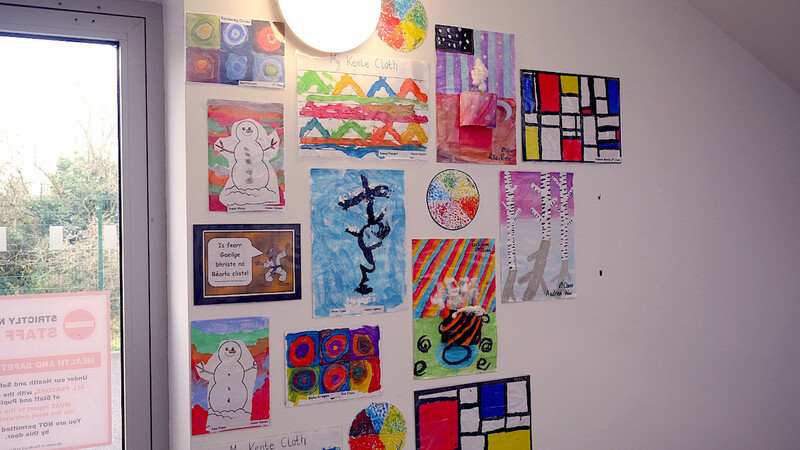 After learning about Piet Mondrian Second Class have done paintings inspired by the De Stijl movement. This style uses primary colours, as well as black and white in straight lines and simple shapes.